Understanding what money really means to you, not only makes it possible to plan your future intelligently, it also makes it easier to stick to your plan. Values are what we believe in, they’re what motivate us and shape us. 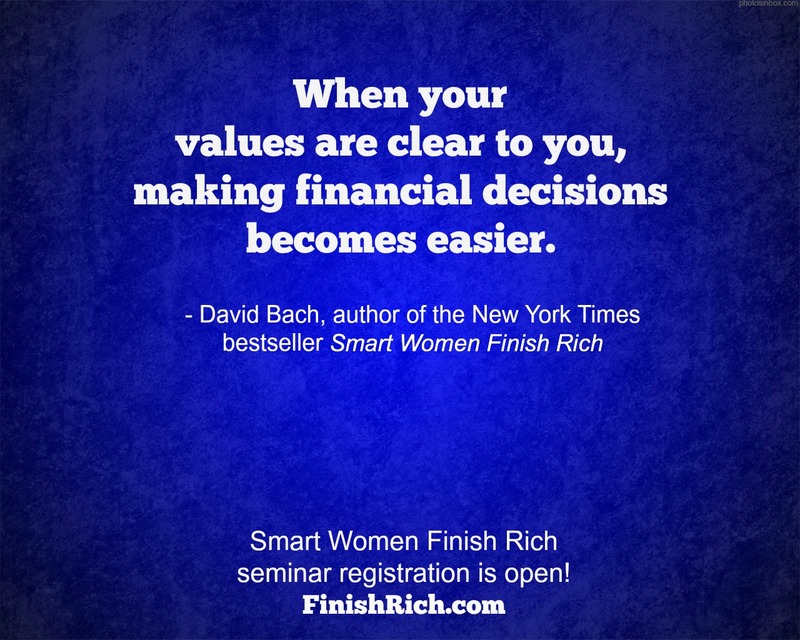 I invite you to get really clear on your own values. Bring a friend and share this post so all the other smart women in your life can benefit as well. Thanks!